We’ve got the Golf App for you! Big Sky Golf Club has a smartphone app to accompany you during your round. 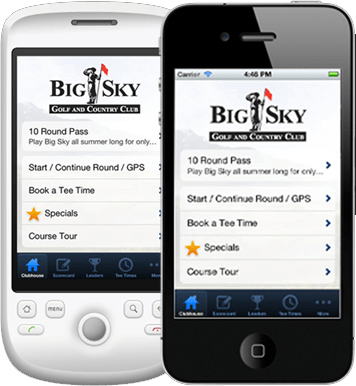 The Big Sky Golf App is the ultimate way to enhance your experience on the course. It’s fun, free and easy to use. Available in iOS and Android, download now by clicking the buttons below, or search for “Big Sky Golf” in your app store. Online Booking in 3 Clicks!